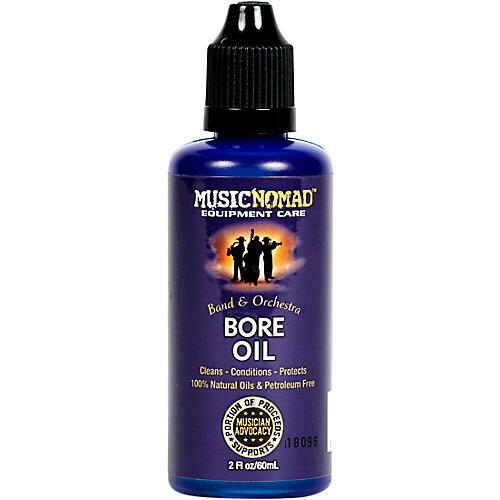 Bring back the tone you love with Music Nomad's Natural Organic Bore Oil. It' formulated using a complex mixture of the finest ultra-refined tree and seed oils to seal, condition and protect your wood. 100% free of lemon extracts, petroleum and water. Works great on any wooden bore instrument and unfinished wooden parts. It helps you protect your wood from drying and cracking. Give your wood its life back. Order todayu and reinvigorate your instrument.